The difference between a “diagnosis” and a “disability” can be hard to understand. These words often get mixed up. To make things more confusing, sometimes you may see or hear the terms “disability category” and “eligibility category” used interchangeably. Many children with a doctor’s diagnosis can participate in school without any special education services. Other children may not be diagnosable, but still need services. During the evaluation and assessment process, the school is looking at whether or not the child’s diagnosis and/or disability category will affect her ability to access and benefit from public education. The Individuals with Disabilities Education Act (IDEA) specifies the disability categories that a school must use when determining if a child needs to receive school-based services. IDEA lets each state choose how to name the disability categories, as long as all terms from IDEA are covered. IDEA makes it a law that all children have the right to an education. In order to help students make progress in school, it’s important that they get the right services from properly trained staff. Teachers and the other staff who work with your child are there to educate your child, not to treat her disability. However, having a disability category gives them a road map, or a place to start in helping your child be successful. In Texas the following is a list of the disability categories used by the schools. Some of these categories may not apply to the youngest children. 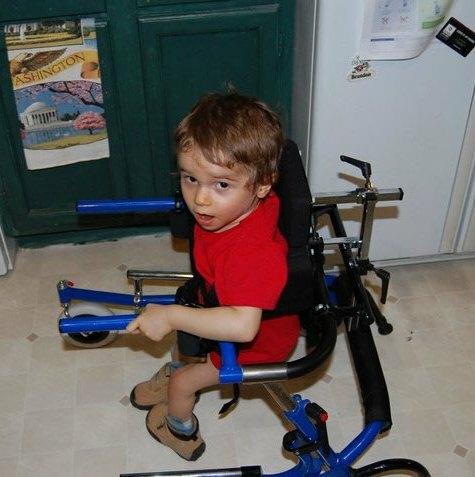 In some cases, such as with very young children, it can be difficult to assign a specific disability category. In Texas, for instance, Non-categorical Early Childhood (NCEC) is a category just for 3- through 5-year-olds whose evaluations show that they need special education services, but who can’t be assigned to any other specific disability category. This can be helpful for you and the other members of the ARD committee trying to determine your child’s eligibility for special education services. Even if your child doesn’t have a diagnosis, and even though she may not fall neatly into any other disability category, she may still be eligible to receive special education services. My child has a diagnosis. How could she not meet eligibility? If your child does not qualify for special education services through your school district, she may still qualify for services through Section 504 of the Rehabilitation Act. See Why a 504 Plan May Be Right for Your Child. Why does the Individualized Education Program (IEP) say my child is Other Health Impaired when her diagnosis is Attention Deficit Hyperactivity Disorder (ADHD)? ADHD is the diagnosis. Other Health Impaired is the disability category that includes ADHD, as well as several other diagnoses. Remember, doctors and medical providers talk about diagnoses, while educators talk about disability categories. Sometimes, a child’s disability category may not appear to relate to her diagnosis. For example, a child who has a diagnosis of Pervasive Developmental Delay (PDD), may be assigned to the speech impairment disability category. My child received Early Childhood Intervention (ECI) services but did not qualify for school-based services. How can this be? Receiving Early Childhood Intervention services does not guarantee your child will qualify for school services. The criteria the school uses to determine eligibility is different than the ECI criteria. Why does my child’s IEP have multiple eligibility categories listed when she only has one diagnosis? You and your ARD committee will look at your child’s areas of need and compare them to the criteria of each of the disability categories. For instance, a child diagnosed with autism may fall into both the autism and speech impaired disability categories. Autism may be the child’s diagnosis, and as you can see from the list of disability categories above, there is a matching disability category for autism. But the practical effect of the child’s autism may put her into both the autism category and the speech impairment category. Assigning more than one disability category may be necessary to make sure your child receives all the services she needs. Again, it’s not the diagnosis that determines this, but the impact her disability has on her capacity to learn. My child’s doctor made a diagnosis. Why does the school need to do their own evaluation? The school must prove that there is an educational need for services. The evaluation helps the school understand how the disorder or condition affects your child’s ability to be successful in school. Read Diagnosis vs. Disability Category: Defining Eligibility from Texas Project FIRST for a detailed overview of this topic, including links to other resources. Many parents have found it very helpful and supportive to read You Are Not Alone: For Parents When They Learn Their Child Has a Disability.